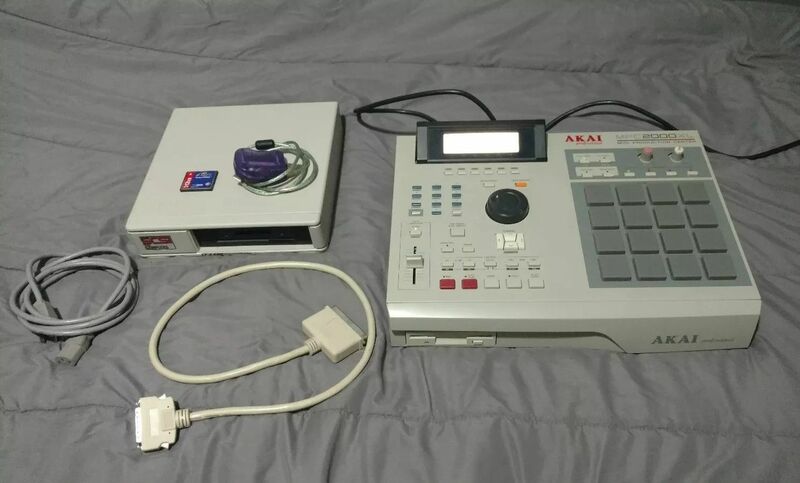 “Selling my Akai MPC 2000xl near mint condition. 2. Upgraded to MPC stuff FAT PADS for extra sensitivity. 7. Usb to compact flash card adapter to transfer files straight in to your Mac or PC. 8. EB / Effects Board upgrade. PLEASE NOTE : There are two very small issues but nothing major. Power button is broken off but you can still attached the power button and it will power on. Also theres one small line across the screen as seen on pictures.